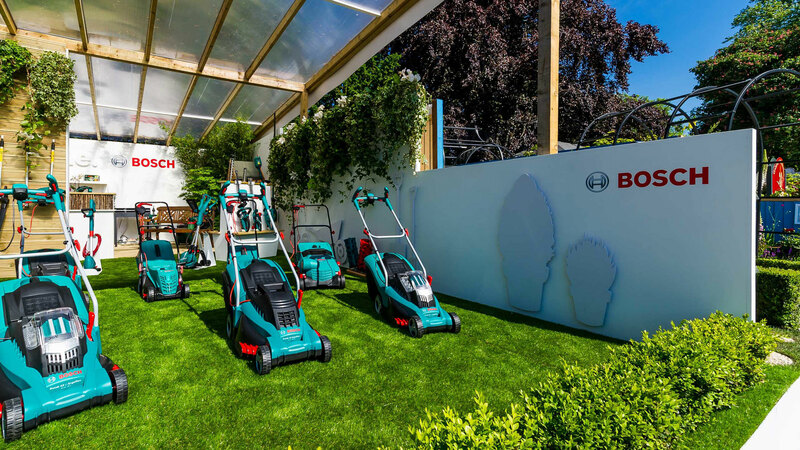 Once again it gave us great pleasure to provide the stand for Bosch Lawn and Garden, where they showcased their new products and demonstrated their range of mowers, shredders and power washers. 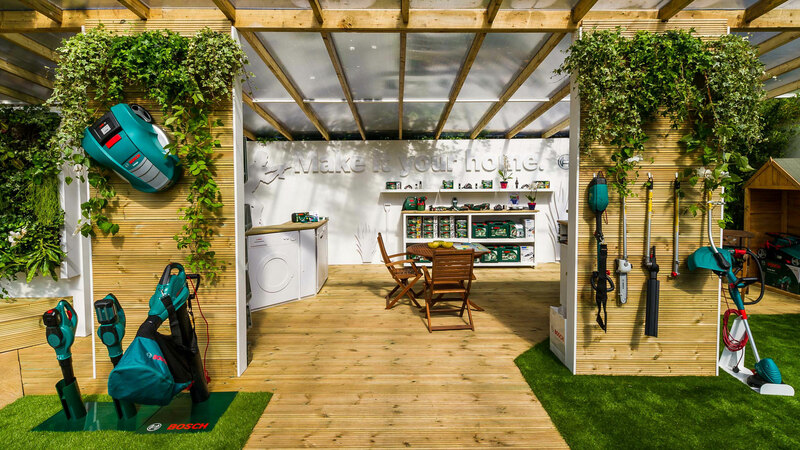 The stand measuring a whopping 12 x 10 meters was designed, built and installed to exacting RHS guidelines. 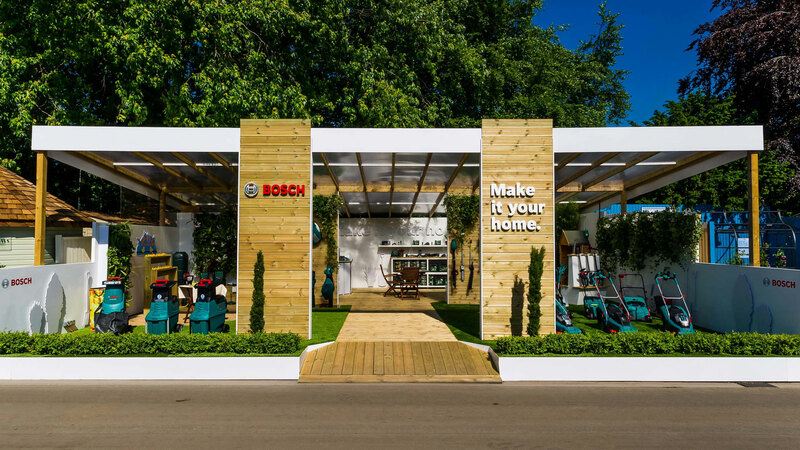 We are pleased to announce that the stand was awarded 3 gold stars by the RHS judges and Bosch won Garden product of the year 2014!